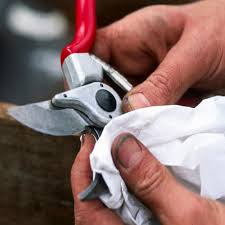 Join PHS Meadowbrook Farm Associate Director, Bernard Pettit, to learn how to properly sharpen hand pruners, hand saws and other garden tools. He will cover recommended tools and products for sharpening and maintaining your tools in general. This is a hands on class and you may bring up to 3 items to sharpen. You may arrive earlier and shop in their Plant Shop. There is a fee of $5.00 for members; $10.00 non members to support the gardens and interns of the PHS Meadowbrook Farm. No refunds for no shows. Registration is limited to 30 people and is considered complete when payment is received. A supply list will be sent upon receipt. To register for this workshop, click here.